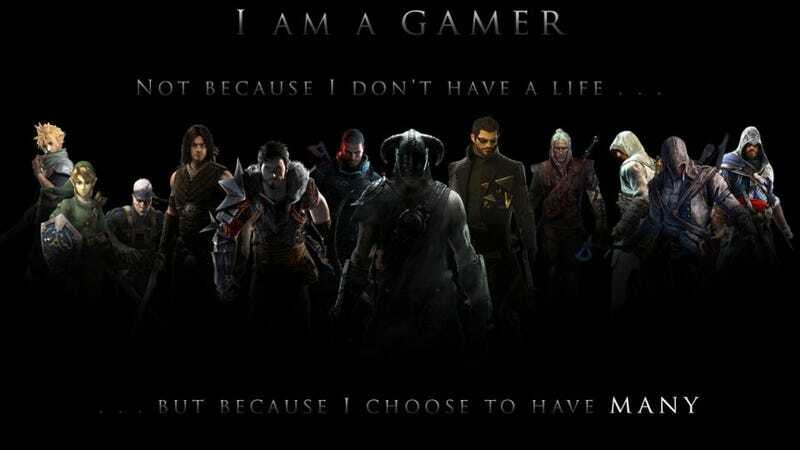 Being a gamer is great. There are so many experiences to have and a lot of them are unique. Unlike movies, you can get a whole novel series worth of content in a single game and spend upwards of 50 to 100 hours on it. It’s a major time sink, and expensive at that, but totally worth it in the end. That is, unless you have a full time job, have a massive backlog of games you need to play, and are very indecisive. That’s me in a nutshell. I can spend 3 hours at GameStop just looking over the same shelves, unable to come to a decision as to what game to buy with the money I have. And even when I do finally decide on something, I go home and toss it to the side and play a different game that probably took me another 3 hours to decide on. As a result of this indecisiveness, I buy more games before I’ve even finished the one I’m currently playing through(The Steam summer sale is partly to blame in this.). And now I have a full time job that leaves me with a couple of hours each day to play, and this is a nightmare for me because I want to make sure that it’s time well spent and not wasted. And so deciding on what game to play becomes even harder than it was before because I want to play everything, but I’m not sure what game would be a better use of my time. I’ve started many games in the past only to never finish them for one reason or another, but never due to disliking them. I started Nier Automata, but I have yet to even achieve Ending A, Two years ago I was playing Valkyria Chronicles and probably got halfway through it, and then dropped it for no reason. 999? Got a few endings, but never finished the true ending. Fire Emblem Fates - Revelation? I wanna say I’m close to halfway through it, but I’ve forgotten in the months since I last played. Persona 5? This one kills me because I made it to October and then just stopped. There was a reason for it, namely that the weather outside was getting hot and since I live in the attic, and heat rises, my room becomes a sauna and game systems just make it worse. So it took me a while to get my air conditioner in, and by then my addiction to P5 had faded. That’s the situation I find myself in. I own far more games that the ones I mentioned, and I love all of them, but I’m so indecisive that I can’t decide which one to actually try and finish first, and now my time is far more limited than it was two weeks ago and I want to ensure that I make the best use of that time, and that has made my indecision worse and nothing is getting done. And now I’ve written this article about my indecision which has prolonged actually making a damn decision. Lesson of the Day: Don’t bite off more than you can reasonably chew. If you do? Make a goddamn run for it because if you don’t finish those games? You likely never will.